Bedbugs on the Bus? SEPTA takes steps vs. pesky pest. The photo is immediately unsettling. 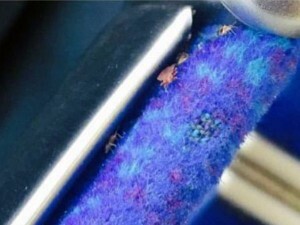 It purports to show bedbugs creeping out of a seam on a bus seat in Philadelphia. The photo, taken Friday, prompted SEPTA to pull three buses from service on Route 6, which runs from the Olney Transportation Center to Ogontz and Cheltenham Avenues, said spokeswoman Jerri Williams. The buses received a cleaning that included vacuuming and freezing. Of all the disturbing things about bedbugs, their mating habits may be the worst. Cimex lectularius have evolved a breeding technique called “traumatic insemination,” and it’s even more horrible than it sounds.